Release of Patch 4.36 marks the arrival of the Final Fantasy XIV Online and Monster Hunter: World collaboration. 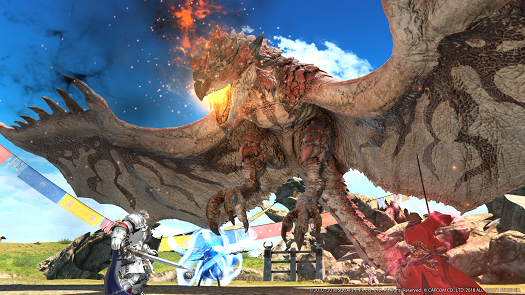 This latest update brings the mighty flying wyvern, Rathalos, from Capcom’s hit title to the world of Final Fantasy XIV. Players can challenge this fearsome foe in either Normal or Extreme difficulty for numerous in-game rewards. Patch 4.36 also introduces the next chapter in The Forbidden Land Eureka series: The Pagos Expedition. Players will now be able to explore an all-new area, further strengthen their Eureka weapons, and obtain additional rewards such as minions.